If you’re looking for song writing techniques that will help you write new, exciting music… you’re about to discover exactly something very valuable. Now it’s unfortunate, but many of the techniques being taught out there are actually extremely damaging to your song writing. In my experience, you can severely limit your potential by following the majority of “mainstream” song writing advice. Probably the biggest thing to suffer will be your creativity, which is one of the most important talents a songwriter can have! Luckily there are a select few song writing techniques that instead oflimiting you actually dramatically EXPAND the abilities you already have into something much more. I went through a long period of testing different song writing concepts and techniques, and after struggling bitterly for many years, I finally discovered exercises that REALLY worked. It wasn’t in music theory courses, or song writing books that I found the answers I was looking for. As I progressed through this research I began plugging in ideas, concepts, and developing song writing techniques from what I’d learned. And as I did this I suddenly became able to write amazing music and compelling lyrics, easily too! It makes perfect sense when you think about it. What I’d done was effectively reverse engineer what the “great songwriters” had been doing instinctively… And because of this, I got similar results to them. 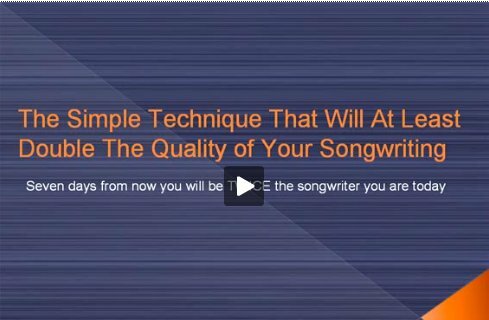 So what I’d like to do now to give you a taste of these amazing song writing methods, is pass on some techniques you can use that will DRAMATICALLY increase your ability to write compelling music and lyrics. While most songwriters progress slowly and never really reach their full potential, you can surge ahead with these powerful techniques that show you how to “tap into” the vast potential within you. These techniques are built on principles and ideas that have created “geniuses” in almost every field. It’s for this reason you can expect excellent results as you use them. 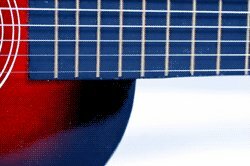 Ok… with that introduction, let’s get into the song writing techniques that will unleash the “Songwriting Master” from within you! Firstly, here’s a technique that will allow you to create enough musical ideas for an entire album, in less than two weeks. I know that sounds like an outrageous claim, but remember we’re “standing on the shoulders of greatness” by using the same techniques that “geniuses” who have come before us. And here is another exercise you can use to generate pages of exciting lyrics, in a very short amount of time. I’ve got a friend who used this technique and when he reported back he said, “I got more done in 20 minutes with this technique than the 3 hour session I had the previous week”. If you want to write some exhilarating lyrics in fast time, this exercise is for you! Finally, if you want to become a true “master” and discover every ounce of the rich musical potential within you, you can access all the fruits of my years of research into the “music creation process” in this cutting edge song writing course. So far, this course has already transformed the abilities of over 1000 musicians around the world, many who have gone on to be “hit songwriters” as well as highly respected musicians amongst their peers. If you desire to become something great in the music industry, this course has the information you need.